The Halo franchise has infiltrated a Kinect launch game. What kind of gesture-controlled Halo are we talking about? Video spoilers below. The video here is from Kinectimals. It shows two of what I believe are three unlockable Halo elements in the game. 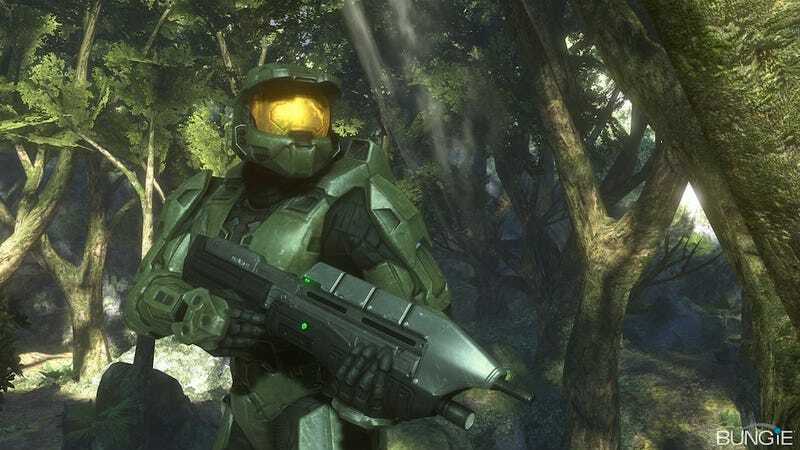 Both the Warthog and the Ghost you see in the clip are iconic Halo vehicles. You unlock them by winning playful races and sports contests with your Kinectimals cub. The vehicles can be used for random challenges, as you see in the first clip, or on short race tracks, as you see in the other. You control the vehicles by sticking your hands out and pretending you are using a steering wheel. The Warthog controls take time to get used to, just like in proper Halo. I'm not good enough at Kinectimals to acquire a third Halo unlockable that i spotted in the game. I'll let that one be a surprise.